This exclusive course will provide the learner with enough information to use these in Business Intelligence projects and also to positively impact the team or business performance overall. The learner will be provided with a solid base of theoretical, practical, and technical knowledge of Business Intelligence. The economic aspects of estimation and feasibility studies will be explored, in addition to the practical aspects related to managing a BI project or system from concept to implementation. The course emphasizes data modelling and analysis as this is central to successful BI scoping and implementation. The highly experienced trainers will teach delegates how to express professional opinions on BI (and related data) and present in a way that will assist them in communicating BI concepts and practices, both to peers in BI and those not directly involved in the BI process (although ideally all employees are involved in the BI process in some way). Minimum of an MQF Level 5 Qualification, good ICT and Mathematics knowledge. One general course assignment that incorporates the whole data walkthrough from creating a datawarehouse, compiling reports, analysing reports and presenting the data. Students will present their report to a board of examiners. A CPD Award accredited with 5 ECTS credits (MQF Level 5) by the National Commission for Further and Higher Education (NCFHE) in Business Intelligence will be presented to delegates who successfully attend all modules and obtain a minimum pass in the overall course assignment. Places for this course are limited to 15 delegates on first come first serve basis. Design dashboard or BI end-user interface to convey BI system information at a glance. Colin graduated in Information Technology, focusing on the computer science field, in 2001. He has over fifteen years’ experience covering various IT roles in different sectors. After a number of years in software development mainly using JAVA and web applications, moved to the field of Business Intelligence. Gained experience in both Data Warehouse and BI development, and also lead BI technical and operational teams. Nowadays Colin manages the function of Business Intelligence for a large organisation within the telecommunications industry. 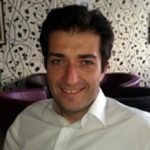 Simon Bonanno is the CEO of Holistic IT Group and has been providing bespoke Excel courses for the past 20 years. His experience extends from software design & engineering through to BI strategy using Excel. Simon keeps himself up-to-date on the latest advances in Excel and helps customers use these new tools & features to increase their productivity & efficiency. His hands-on experience applying it at industrial scale, puts him in a unique position to advise, train, & assist others in their adoption of these new tools.